Each week as part of our Next Generation Initiative, I will assess the current issues to inspire your thought and engagement, and to call you to action for our future generations. This week, the big news is new beginnings in Washington. We embarked upon the second term of President Barack Hussein Obama and opened the 113th Congress. These early days will provide a clear vision as to legislative priorities and the direction this country will take under these elected officials.To put the monumental challenges ahead of them into perspective, I have the pleasure to introduce you to the Next Generation Data Card. As a member of Congress, I had our staff develop this simple card of several economic indicators to give constituents an objective, comparative analysis. Now Next Generation is updating this card to show you where America was in January 2009 and where we are currently. We will update the card monthly and challenge you to carry it for reference and discussion. Of course, if I am at an event and ask people to show me the data card, those without it will have to do 20 push-ups, so you better download your copy of the card here right now! The bottom line of the card is that facts do not lie. Crafty people can say anything in a speech, but we will arm you with the truth so you can stand up for our future. Our deficits in the era of Obama have been $1.42 trillion, $1.3 trillion, $1.29 trillion and $1.1 trillion. We are on track for a fifth straight year of $1 trillion-plus deficits – the difference between revenue flowing into the government and government spending. We are now borrowing 46 cents on every dollar spent. In his inaugural address, Obama did not mention how we will curtail spending. When Moms cannot afford to take their kids to soccer or lacrosse practice because of rising energy costs, that is a betrayal. As a young fella tanking up my Dad’s car on our assigned day during the Saudi oil embargo, I remember being told that government would create a Department of Energy to make us energy independent. Yeah, exactly what I’m thinking. We sent $2 billion to Brazil for offshore oil exploration; we wasted taxpayer dollars on green energy boondoggles (Solyndra); we are sending jobs overseas for wind blades and solar panels, and anyone remember the Keystone XL oil pipeline? We are betraying our children. On the defense front, Obama said “a decade of war is now ending” and “we will defend our people and uphold our values through strength of arms.” But recent and current events suggest otherwise. Last September we lost a U.S. ambassador, a State Department official and two former Navy SEALS in Benghazi, Libya. We just learned that radical Islamic terrorists murdered three Americans of the 10 they took hostage at a gas plant in Algeria. No one asked radical Islamists about an end to fighting, and sadly, they do get a vote. “Strength of arms” – those Obama inaugural words are in contrast to the threat of sequestered defense spending, which would so promote a decline in American military strength that Obama-appointed Defense Secretary Leon Panetta spoke against it. We need a loyal opposition that will make a stand in the political arena, and the GOP must not continue to acquiesce under perceived media pressure. Speaking of which, I do find reprehensible the comments of CBS news political director John Dickerson about going for the throat and pulverizing the Republican Party. This after Obama stated in his inaugural speech, “We cannot mistake absolutism for principle, or substitute spectacle for politics, or treat name-calling as reasoned debate.”I thought we were supposed to have a more civil discourse. Imagine if a conservative news director had said the same thing!Or even worse, look at the backlash golfer Phil Mickelson took for stating exactly what many are thinking – that they may have to make “drastic changes” because of rising taxes. Furthermore, doesn’t Mickelson have the unalienable right to free speech and to petition the government for a redress of grievances?The next generation requires an objective media that reports the facts and gives them the freedom to articulate their pain under the weight of expansive government intrusion and ineffective policies. So we shall be watching these next 100 days for policies that promote the economic, energy and national security interests for our next generation. When we do not see effective policies, we will engage you and challenge you to stand up for the future. 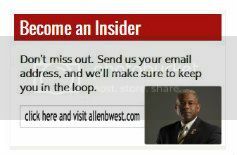 This entry was posted in Next Generation TV and tagged Allen West, Barack Obama, Benghazi, economy, January 2009, Next Generation Initiative, Obama, Republicans, Speech, United States. Bookmark the permalink. You know your heart as no other can, but we are in need of that hearts passion and the man who possesses it for the Presidency of the United States of America, or should I say what is going to be left of her. We have been betrayed by so many politicians that we are sickened by them, by the very sight of them and the political voices that are filled with empty promises and the decadence of their lies have become far to over whelming for this Nation to bear any longer. I’m 53 years old, a deep rooted Southerner, a tough to the bones swamp monkey and I found myself crying like a fool last night because I felt helpless to defend my family from this out of control government, a government that no longer honors the wishes of her citizens, a government that is devouring my grand daughters, nieces, nephews and fellow Americans futures up at an alarming rate and where are our elected defenders. The reason we need you Mr West is because you spoke about these very issues, you know that in order for us to move forward as a great Republic and to grow greater still, we will need to have the full control and use of our Constitution enacted, all of her, not just bits and pieces of her. We need men and woman like you who understand this and who have fought for these very principles…Your an honorable man Mr West and you have my utmost respect and again, only you can know when you are ready and prepared for such an endeavor. Print Data Card Doesn’t Work! The link to Next Generation has the download. I will check ours on this end, but please click on their link and go there! Thanks for the heads up. Considering the number of dishonest and reprehensible things you’ve said, Mr. West, your complaint of, ” I do find reprehensible the comments of CBS news political director John Dickerson about going for the throat and pulverizing the Republican Party. This after Obama stated in his inaugural speech, “We cannot mistake absolutism for principle, or substitute spectacle for politics, or treat name-calling as reasoned debate.”I thought we were supposed to have a more civil discourse.” and the rest of your screed to be typically disingenuous of you. I’d say, “You should be ashamed,” but the only other Republican I know sufficient intellectual honesty and ethical integrity to fell genuine shame is a sophomore at George Fox University and she’s smart enough not to vote for the treasonous RINOs that have taken over our party and continually threaten to ruin America and the world. Facts are fine for what they’re worth, but until the source of the trouble is addressed and then corrected, our economic woes will continue unabated. The only possibility of fixing the problem is to follow historical example: mimic the post-war investment in America. The American Society of Civil Engineers estimates a cost of over$2 trillion to prevent the further decay of America’s infrastructure. Meanwhile, Republicons in Congress like you have been putting millions of Americans out of work; putting them on food stamps and Unemployment Insurance compensation, then taking it away. Don’t waste your time denying it because Sen. McConnell said more than once that the GOP’s number one priority was to make Obama a one-term President. Not the economy. Not jobs. Not national security. Just. Make. Obama. Look. Bad. How is this not treason? Actually, I take part of that first paragraph back. You SHOULD be ashamed of yourself.